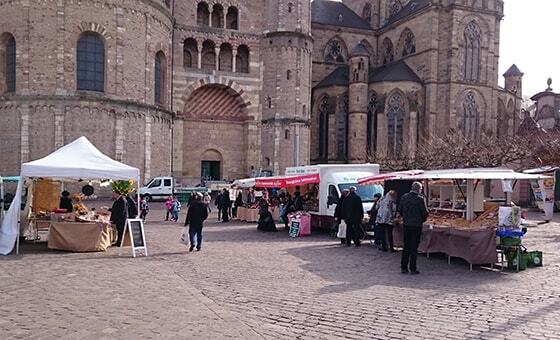 In Trier, you have various markets available downtown for buying fresh regional products. 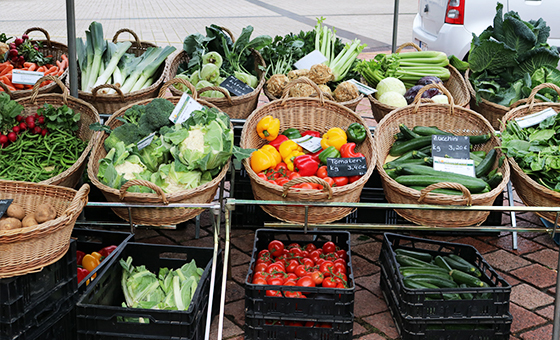 Depending on the market, you can purchase fruit, vegetables, meat, fish, cheese, eggs, flowers, and much more from local and regional vendors. 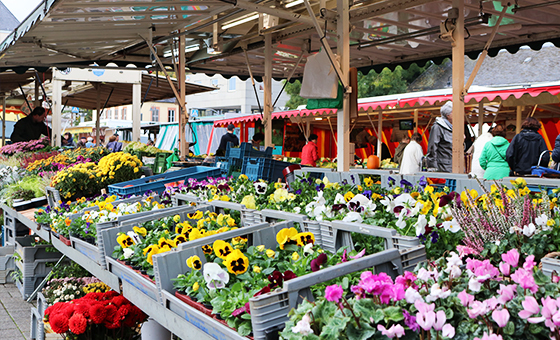 Market stands on the Main Market offer a daily market from Monday through Saturday (except on Sundays and holidays and during city festivals). 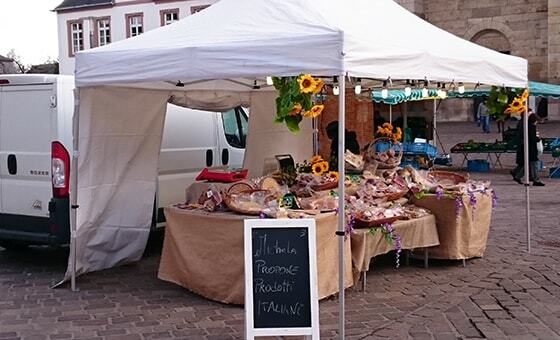 Local and regional vendors come together to Viehmarket Square normally Tuesdays and Fridays. The products on offer consist mostly of fruit, vegetables, bakery goods, delicatessen foods, meat, fish, cheese, eggs, and honey. 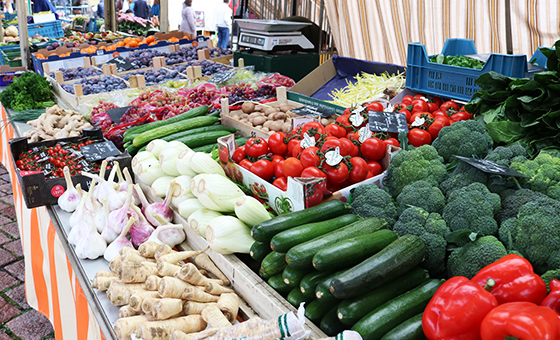 If the Tuesday or Friday falls on a holiday, the farmers’ market is held one day earlier. 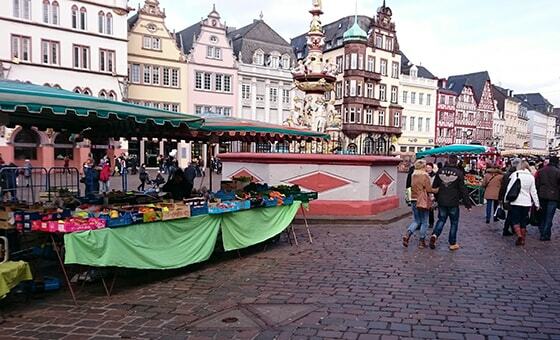 If Viehmarkt Square is occupied because of an event, the farmers’ market is set up at Augustinerhof. The Saturday Market is held on Cathedral Square. 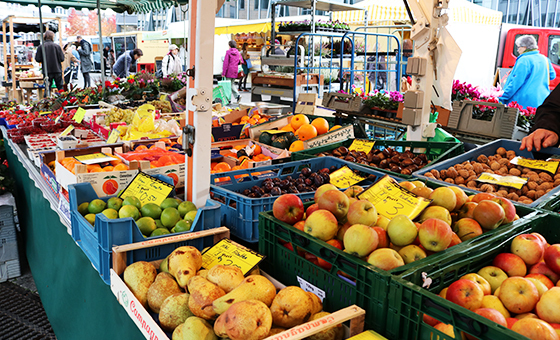 Fruit, vegetables, cheese, and sausages are on offer, as are other products such as toys, clothing, and costume jewelry. 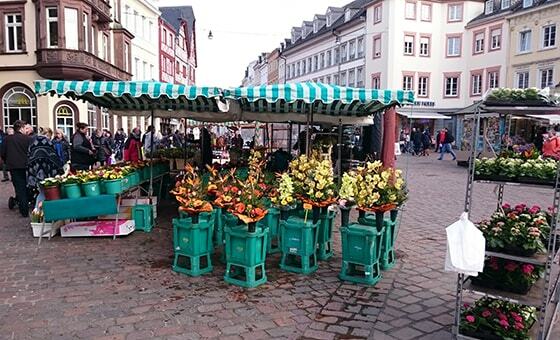 During the Trier Christmas Market (mid-November to end of December), the Saturday Market is held at Viehmarkt Square.